Hello friends and Happy Halloween!! Ya’ll Vegas was so much fun! We went to a dance club, a Britney Spears concert, ate a fancy dinner, and had plenty of time to explore. I loved stopping by the Bellagio fountains for the water show, and Britney was amazing. I think it would be fun to go back for a bit longer and do more yummy restaurants and shows, and maybe a day trip to the Grand Canyon. I think I’ll be adding it to my future vacations list. 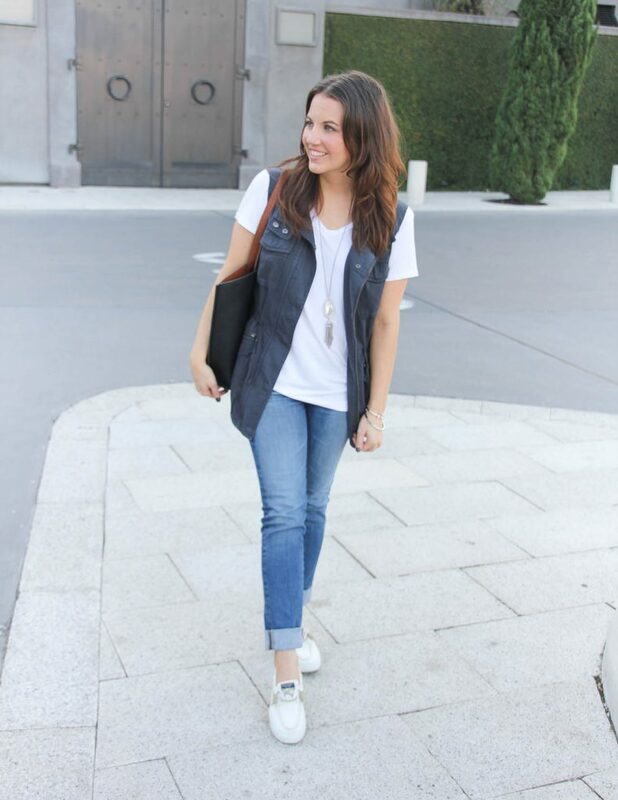 I wore almost this exact outfit on Saturday when I was walking around the strip. I opted that day for my camisole instead because it was a bit on the warmer side. First of all, I walked 20,000 steps that day, so I can confirm this outfit is perfect for a day with tons of walking. 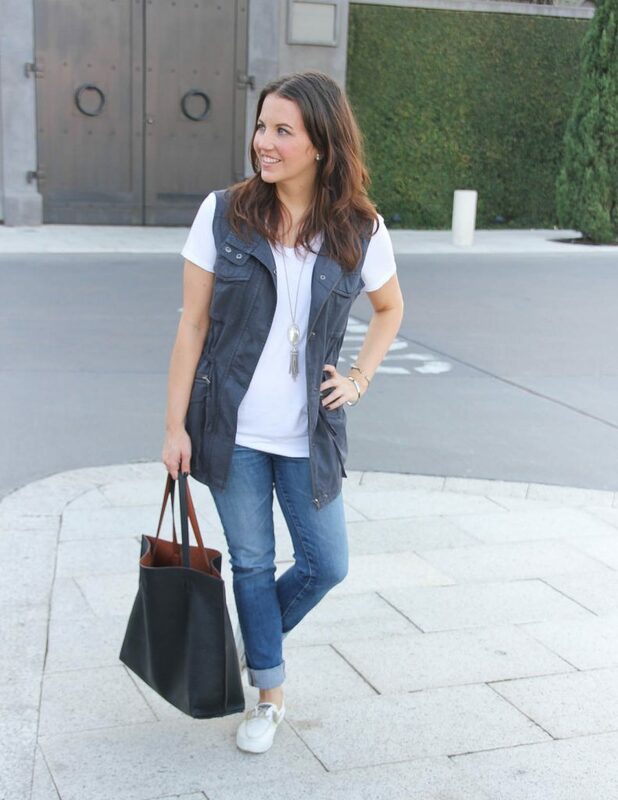 I’m so happy with this vest purchase because it’s the perfect add on to change up your basics. 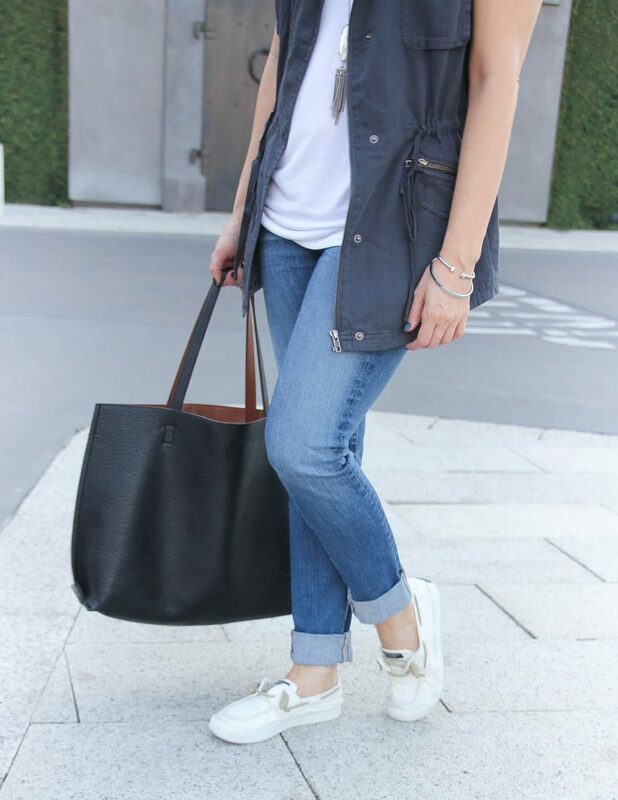 I love this casual weekend outfit for all my moms out there attending weekend sports too. 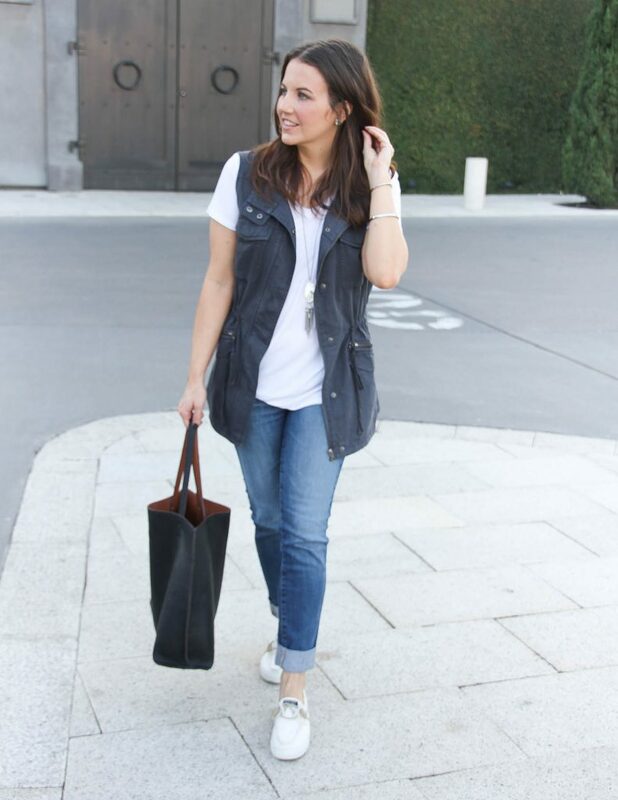 Originally, this outfit came to be when a gal pal was looking for some lighter pieces she could add on to her basic tee and jeans for her son’s soccer games. 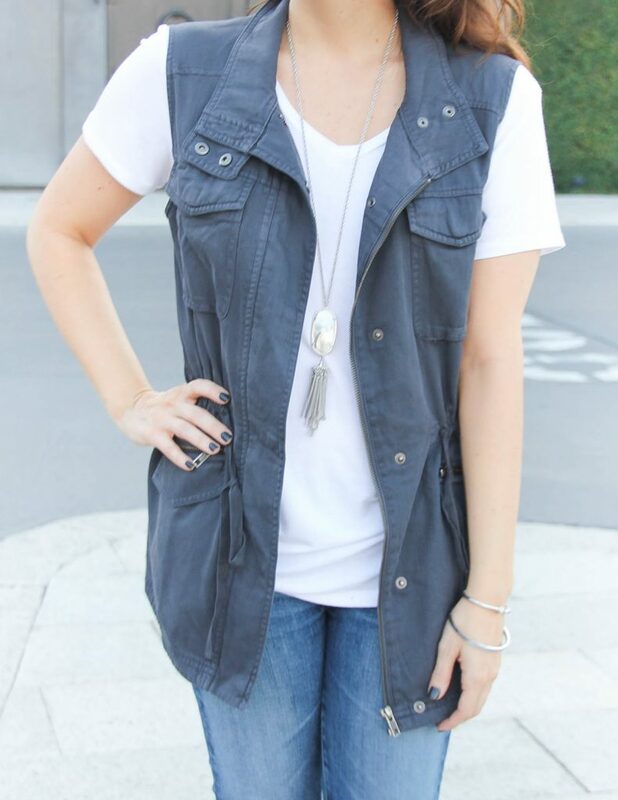 I recommended a few cute vests including this one that I own and love. 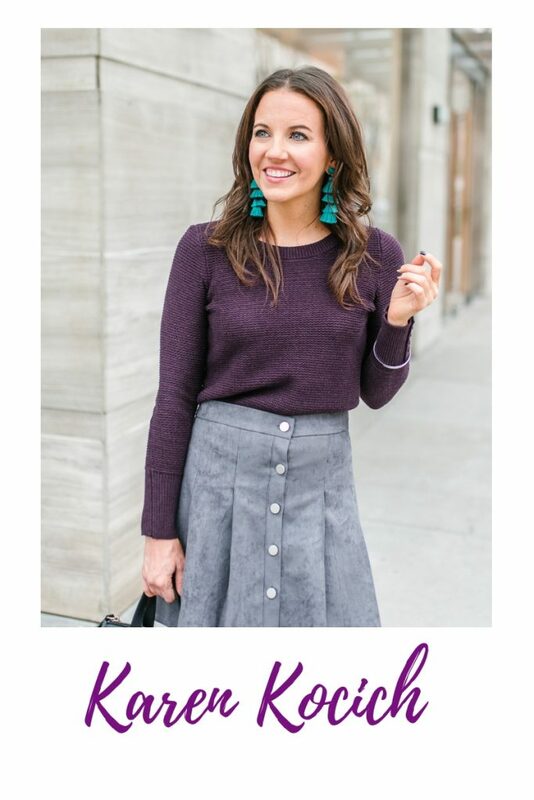 Alright ya’ll, don’t forget to scroll down and join in the Style File Link Up fun. Thank you so much for taking some time to stop by today. I always appreciate the visit and your sweet comments! Happy Friday Friends! I am really excited for this weekend. 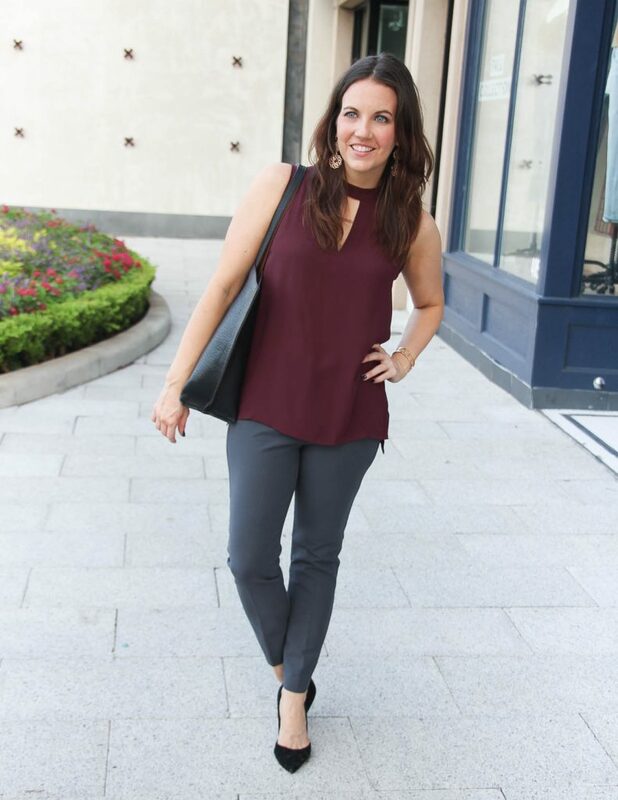 Some of my blogger pals and I are heading to a Style Summit at the big Houston mall. It’s kind of like a blog conference. Several of the speakers are bloggers I love, so I’m excited to listen to all they have to say. I’m also excited to see some of my blogger friends too. It’s been awhile since I have seen some of them, so I’m ready for a little catch up session. Drop me a comment if you are in Houston and going to it. We finally received our first taste of real cool fall weather, like pull out your sweaters cool. 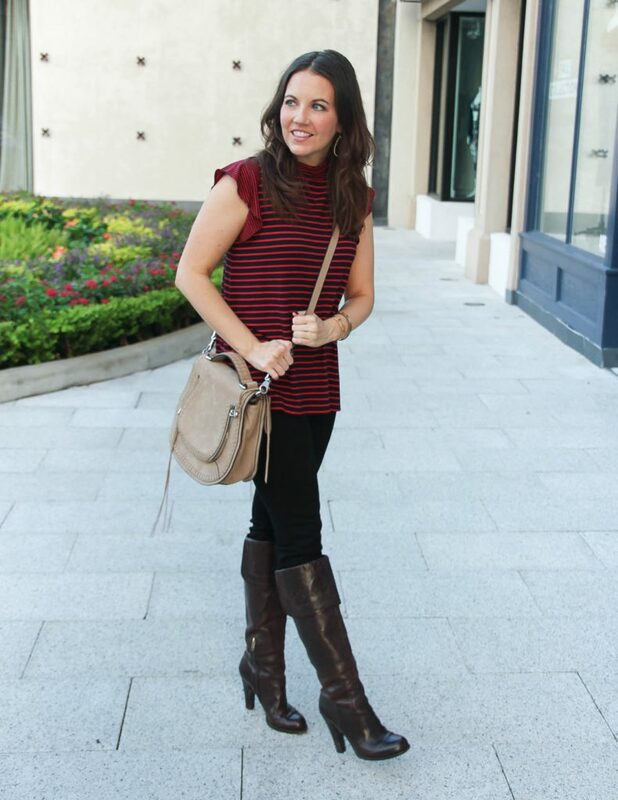 It was nice to finally wear a few of the items I have been eyeing in my closet. The afternoons are still on the warm side though. 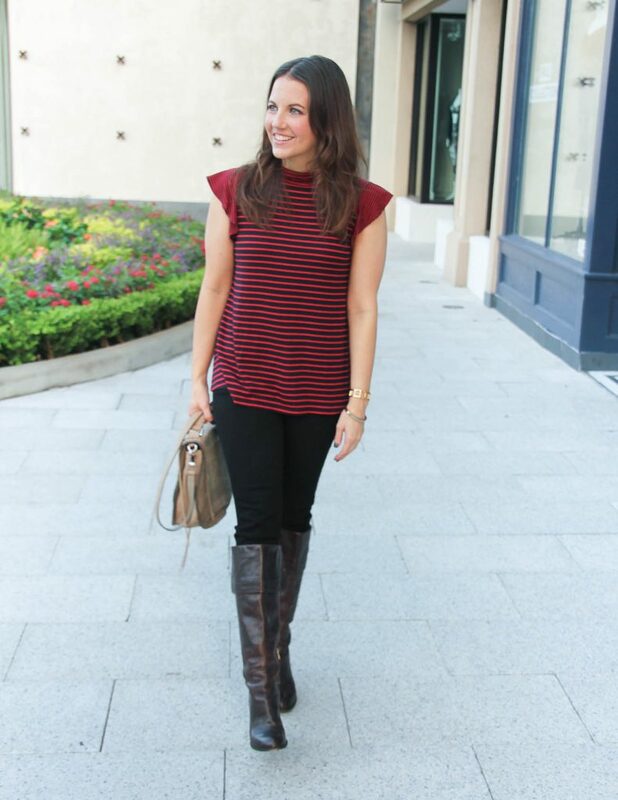 One of my most requested fall items from those in Houston is for a cute fall top for warm weather. It’s hard to not want to put on those fall colors when it’s already October. 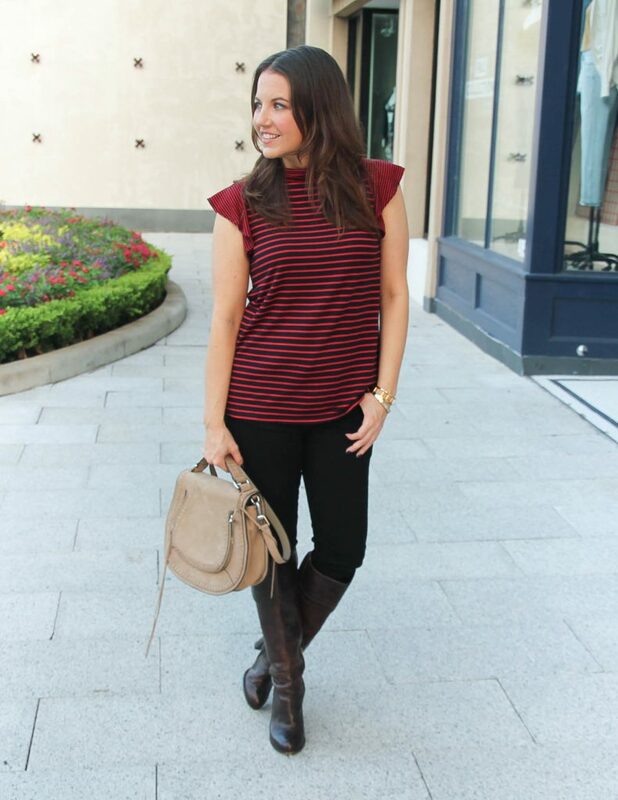 I found this top a few weeks back on sale, and it’s on sale again right now! The navy and red striped design just felt very fall to me. 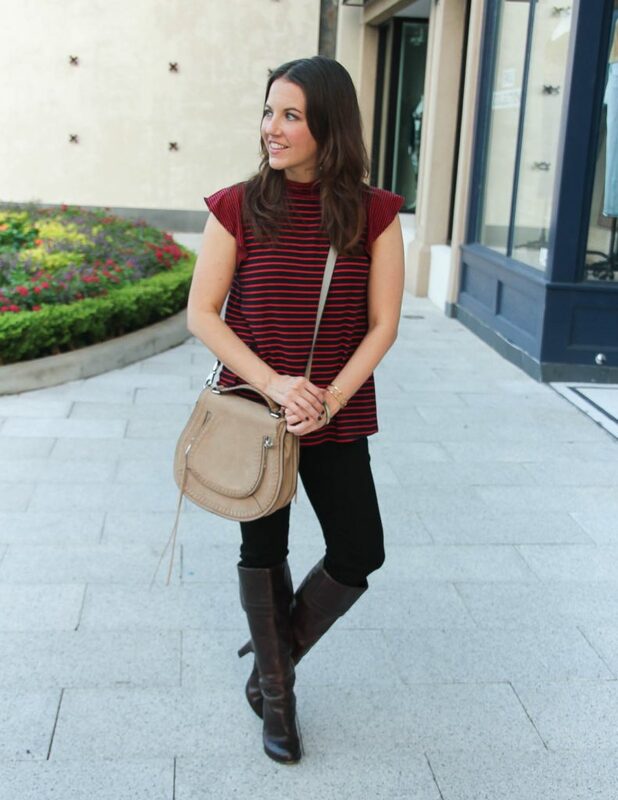 The loose fitting jersey knit material and flutter sleeve made this perfect for warmer days. The mockneck turtleneck is loose fitting too, so not to restricting which is not always fun in hot weather. I immediately pictured this top with black skinny jeans and brown riding boots. 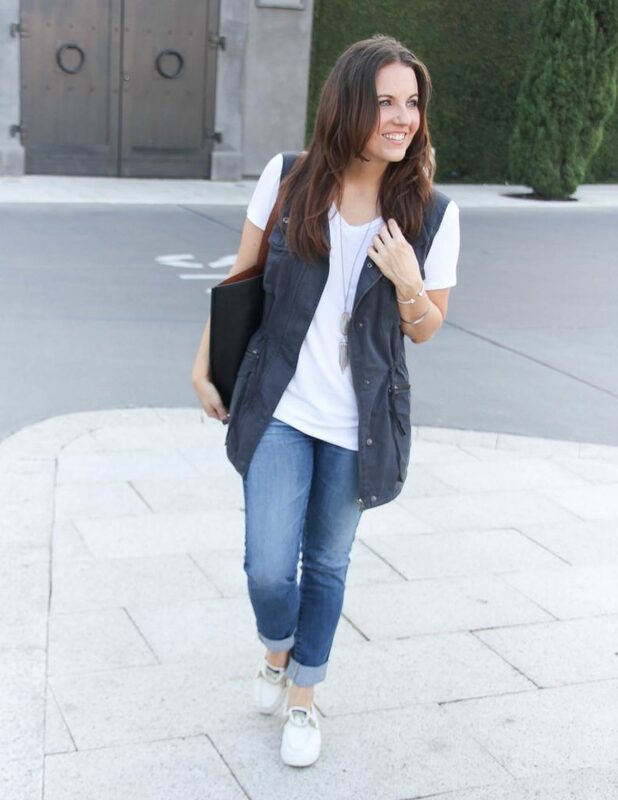 You could also pair with booties or flats for a shoe that might work better in warm weather. I just couldn’t resist how cute these pieces look together. I hope you all have a wonderful weekend. Thanks for reading, and I will see you guys back here next week.